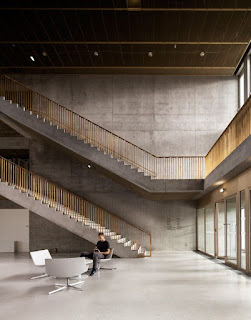 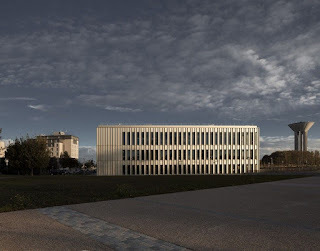 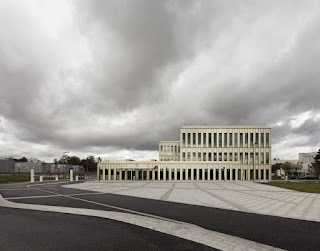 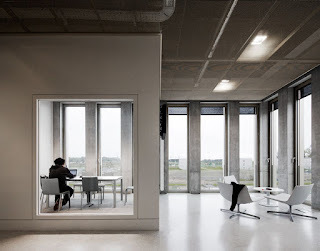 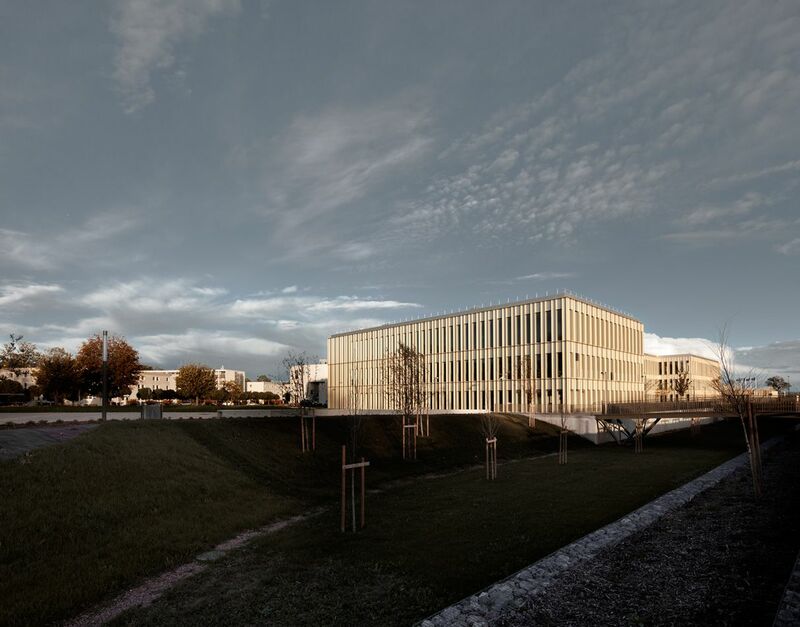 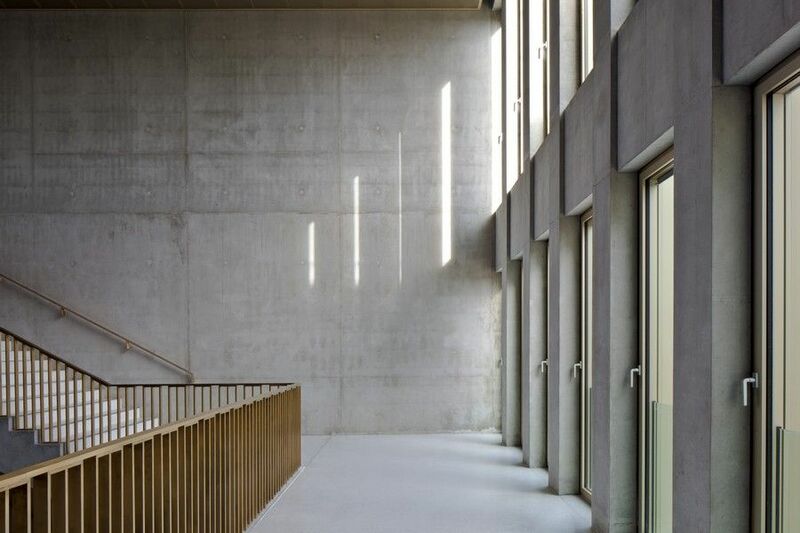 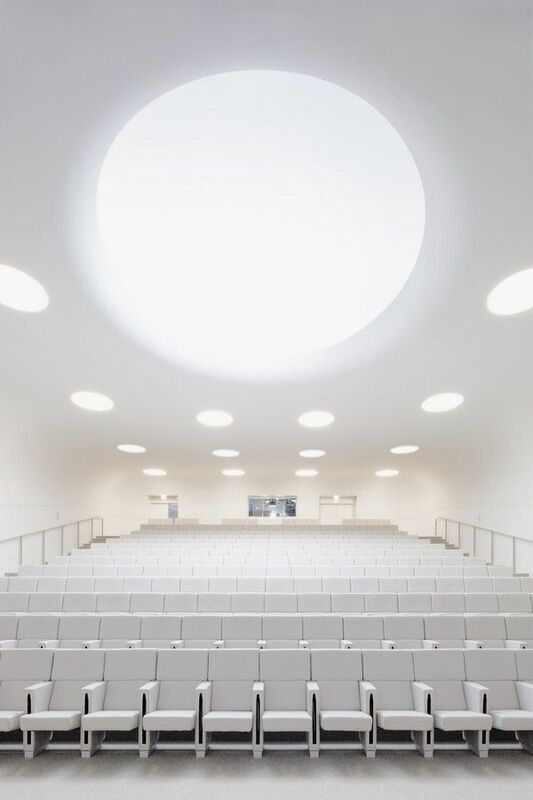 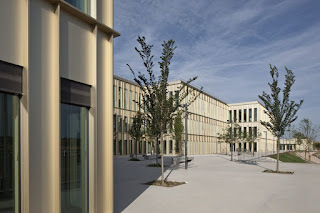 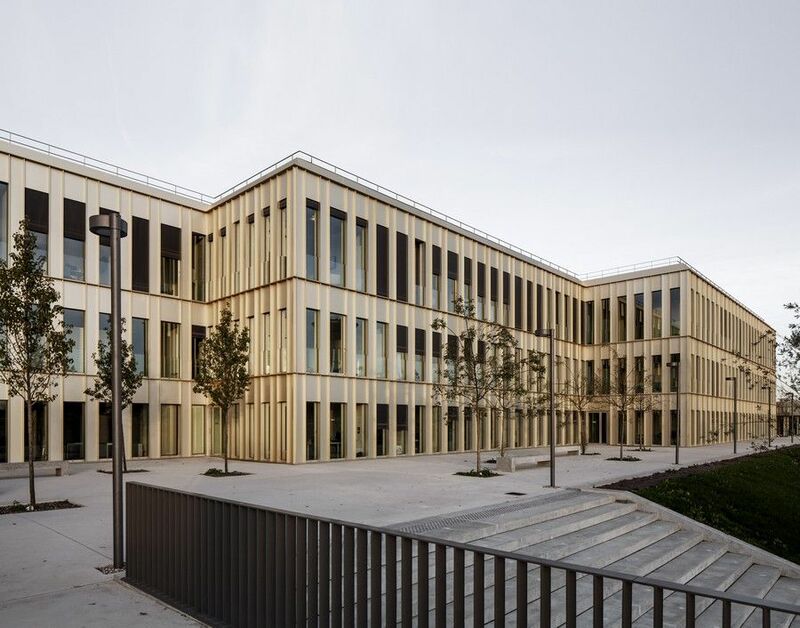 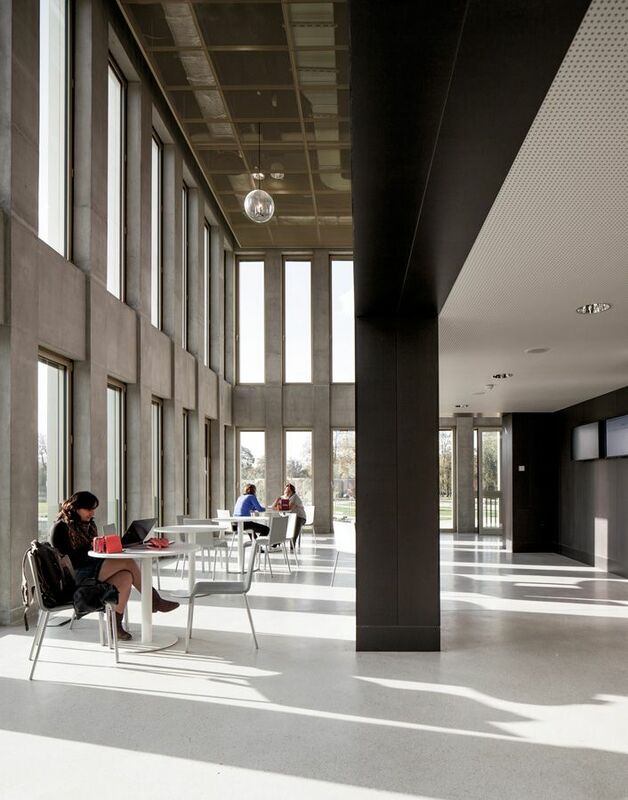 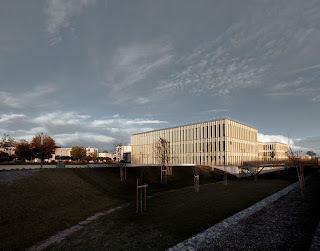 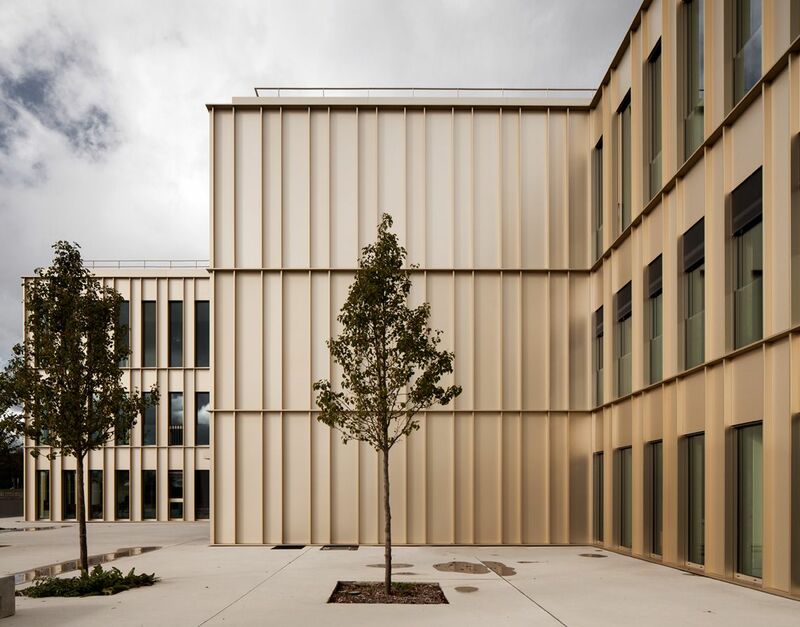 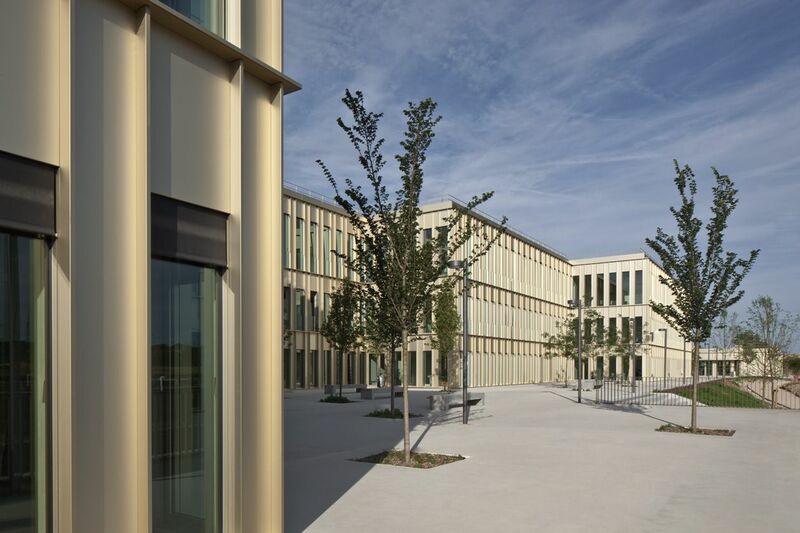 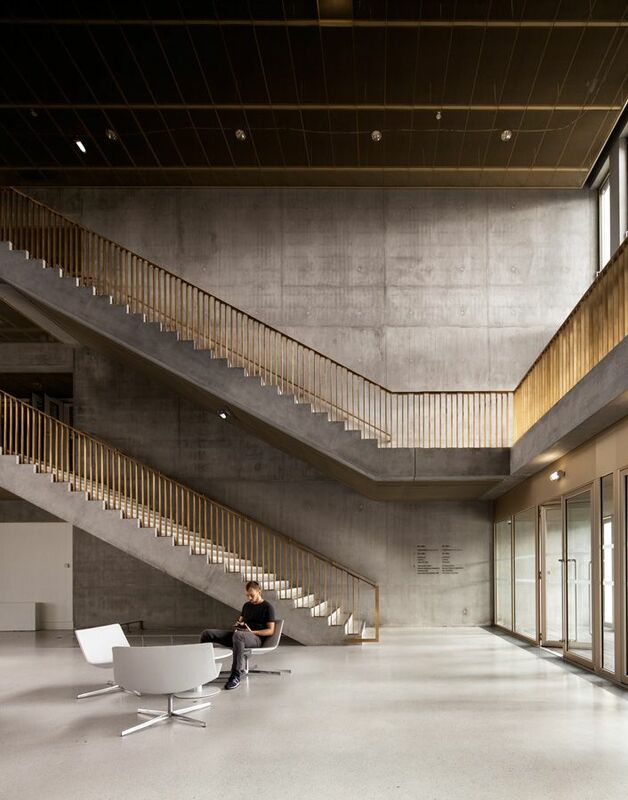 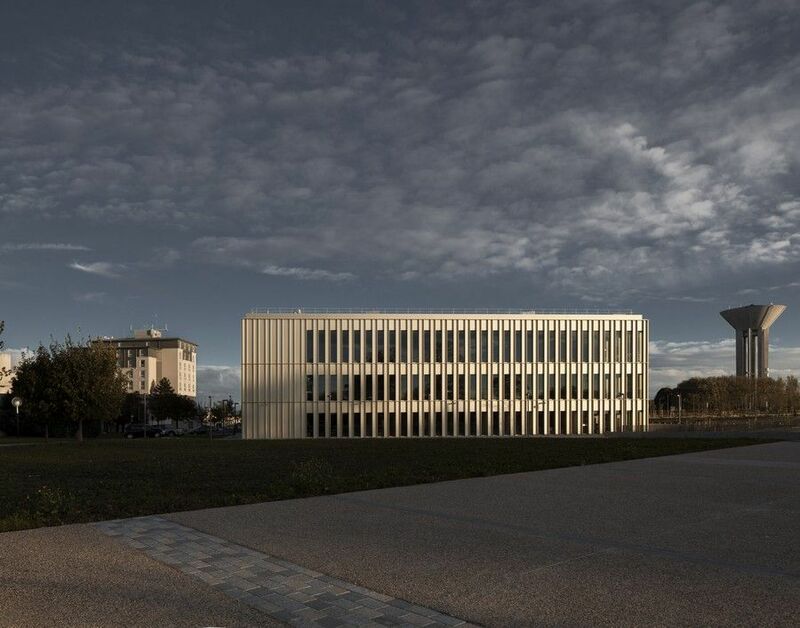 The new MBA Building for the École des Hautes Études Commerciales (HEC) is located on the school’s campus near the historic Paris suburb of Jouy-en-Josas. 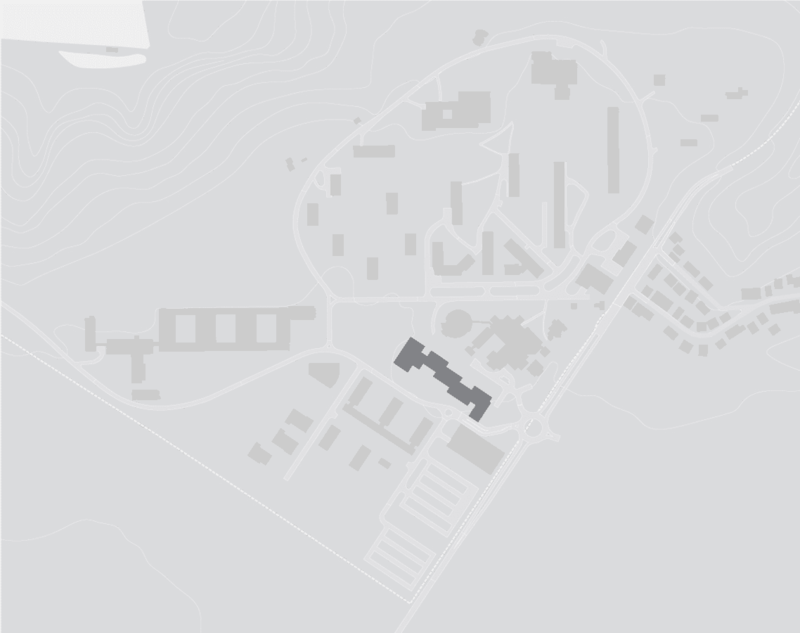 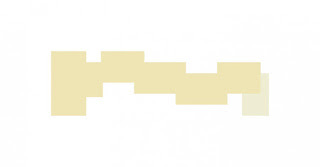 The existing 1964 campus consists of a series of pavilions in a wooded landscape. 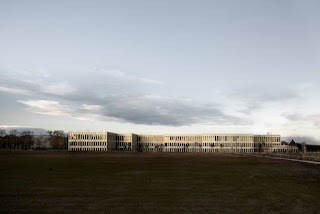 The original design intent had been compromised over the years, resulting in a campus which lacked focus and was in need of a clear entrance. The new building is the first stage of a masterplan to meet the demands of growing student and faculty numbers. 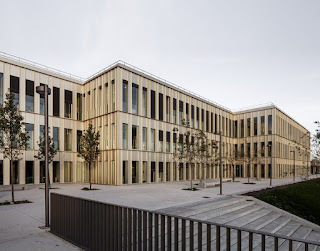 The client’s brief specified a building that would not only house the teaching facilities for the MBA course and re-house its administration services, but also provide the main entrance to the campus and reinforce HEC’s image as one of Europe’s top business schools. 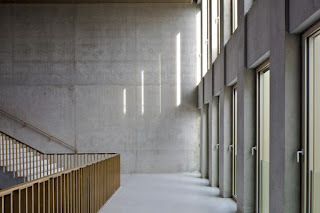 Planning requirements stipulated a low building volume set back from the site boundary.